The MFA offers free admission and guided tours to Title I schools as well as to public schools in Boston and Lawrence and all schools in New Hampshire and Maine. Indicate that your school meets one of these criteria when requesting your visit. Lawrence Public Schools also may be eligible for reimbursement of bus expenses. 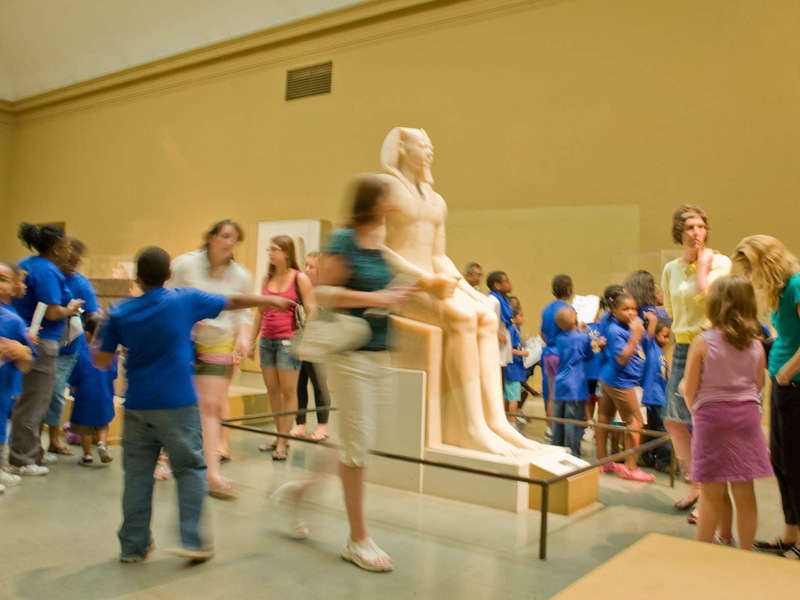 The Bernard J. Rothwell School Bus Fund was established in 2006 to provide Title I schools with bus transportation subsidies of $250 to bring classes to the MFA for Guided Tours. This fund was made possible by a grant from the Paul Taylor and Adeline Gertrude Magrane Rothwell Philanthropic Fund at the recommendation of a current Gallery Instructor. We are no longer accepting applications for the 2018–2019 school year. The Lunder Maine Student Membership Program allows Maine students of all ages in public and private school, as well home school students, to visit the Museum free of charge. The McLane Family New Hampshire Student Membership Program allows New Hampshire students of all ages in public and private school, as well home school students, to visit the Museum free of charge. The Stevens Foundation provides support for use of the MFA by the Lawrence Public Schools. Visit our award-winning website for teachers. Engage your students with the MFA collection.